Formed in 2005 with Cameron Campbell, Wilkens Design Studio is an interdisciplinary Architecture, Interiors and Design firm developing new and renovation projects, installations, and furniture. Wilkens Design Studio’s work spans across commercial, historical adaptive re-use, hospitality, and museum projects and includes a range of custom residential projects. I am fascinated by the way cultures, climate, and people shape our environments. Studying sculpture and photography originally helped bring a deeper curiosity about the built world in which we live; sculpture allowing a free exploration of form and photography developing a deeper way to see. Sculpture and its intervention into a given built environment ultimately led me to study Environmental Design. In this field both environment and the behavioral effects of form and space on human beings are considered as architecture. Having been born in Amsterdam and growing up in beautiful natural surroundings in Belgium and upstate New York, playing always involved building tree houses, shelters, igloos, tunnels. The fascination with building and ultimately, the relationship we have to our surroundings, in whatever functional obligation (a home, a studio, an apartment, a museum, a restaurant) is what drives me to uncover more about how we live and how we interact with each other and our surroundings. 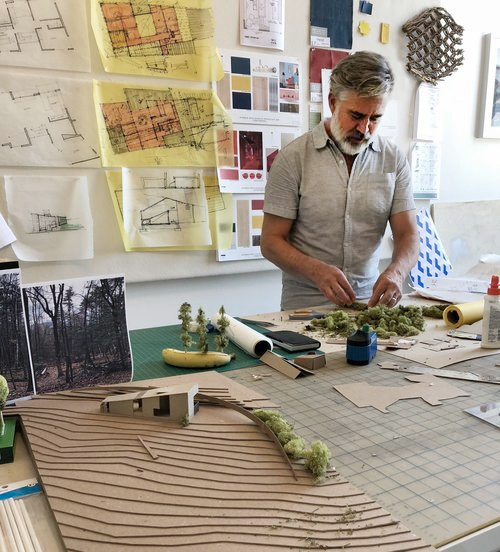 Nicolaas is a registered Architect, AIA member, and formally realized Wilkens Design Studio in 2005 after many years managing and designing projects for well-established firms. Cameron is a founding partner of Wilkens Design Studio. As a trend forecaster and design strategist, Cameron works closely with clients and colleagues to create visual strategies that engage people and inspire creative growth albeit through color, material, art, products and objects. 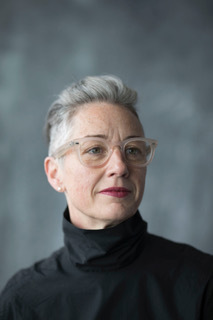 In 20+ years in the design industry she has worked with such notable clients as the Boeing Company, History Channel, Herman Miller, Apple, Nike, PointB, China Eastern Airlines, Samsung and BMW/MINI as well as numerous internationally recognized design consultancies including MetaDesign, IDEO, Method, Fuseproject, TEAGUE, Digital Kitchen and GoldenArm. Cameron has spoken at and curated numerous design conferences in the U.S.A and Brasil including a Herman Miller organized panel discussing George Nelson’s “How to See”. She has juried internationally recognized design awards for AIGA and IDSA and most recently a jury Chair for the IDSA/IDEA awards. As I continue to grow in the profession, I discovery more and more everyday that my identity is a big influence in my design. From an early age, I have experienced opposite cultures and environments everywhere I go. I have witnessed the extent at which people disagree and compromise to live in harmony with each other. I have begun to develop a perception that stands in non-conformity and non-binary association. As a result, I adhere to the presence of emotion, authenticity and most importantly to the presence of sensibility in my design while exploring and challenging ideas. Sergio has been an integral part of Wilkens Design Studio since 2016. I’m naturally drawn to architecture and the landscape that surrounds it. This fascination began on my family's farm working in the fields with the horizon as my constant companion. This line at the edge of earth and sky created a conversation between art and architecture, between building and sculpture, between natural and artificial. From these roots grew a life-long curiosity about the buildings that we live, work, and create within. Drawing on 30+ years of experience as a designer and creative director, brand builder and agency partner, I'm exploring new creative and entrepreneurial opportunities. Dale has been an integral part of Wilkens Design Studio since early 2018. My background is in professional dance. I collaborate with others in choreographing the human experience in a three-dimensional space to communicate an idea. Simultaneously engaging with negative and positive space, I visualize and paint pictures with sculpted forms, patterns, lighting, and color for an audience. Now, as an interior designer, I collaborate with others in choreographing the human experience in a three-dimensional space to communicate an idea. Simultaneously engaging with negative and positive space. Daniel has been an integral part of Wilkens Design Studio since late 2018.